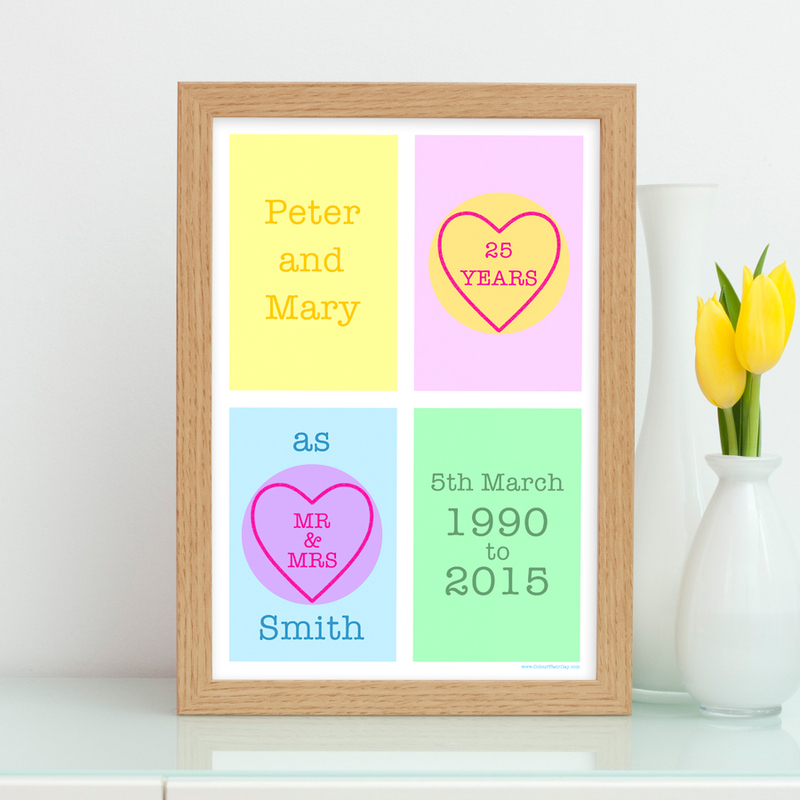 If life has been sweet together for you and your partner or for a couple you know, then celebrate this with a delightful and delectable personalised anniversary print. An ideal and original gift for any wedding anniversary. The design features four pastel coloured rectangles with complimentary coloured hearts and text, inspired by how sweetly cherished everlasting love is. Personalised with the couple’s names, surname, number of years together, anniversary date and year they were married. The print is available in A4 unframed, A4 framed and A3 unframed. Be the first to review “Sweet Heart Personalised A4 / A3 Anniversary Print” Click here to cancel reply.